* Defense of Public Lands: Our office is involved in challenging the Bureau of Land Management’s attempt to eliminate protection for wilderness-quality lands throughout the West; efforts to stop the damage caused by off-road vehicles in Utah’s canyon country and Colorado’s mountain forests; and many other efforts to protect our western public lands. * Responsible Energy: We are involved in numerous cases, both national and regional in scope, that challenge irresponsible and illegal energy development on public and private lands, including sensitive Wyoming sage grouse habitat, Utah canyon country, and wilderness-quality lands in Colorado. * Ecosystem Protection: We work to protect the rich riparian corridors and forests throughout the West that are home to abundant native wildlife and many federally listed species. Earthjustice represents citizen groups in efforts to obtain protection for these important areas using the Endangered Species Act, the National Forest Management Act, and other federal statutes. To check out the full listing, visit PSLawNet.org (log-in required)! The Land of Lincoln Legal Assistance Foundation is looking for an attorney to fill a three-year Foreclosure Fellowship position in its Western Regional Office in Alton, Illinois. The Fellow will represent low income homeowners who are unable to meet current mortgage obligations and who need legal assistance to avoid foreclosure. The position will involve: individual case work, including advice, budget counseling and loan modification negotiations; defense of homeowners in foreclosure (including in mediation); possible affirmative litigation in state or federal court; and education and outreach efforts directed at courts, homeowners and service providers in the community. Land of Lincoln Legal Assistance Foundation is a non-profit organization providing free legal services to low-income individuals and to senior citizens in civil cases through five (5) offices in central and southern Illinois. The program has a long history of high quality and innovative advocacy for their clients. The Western Regional Office-Alton is located in the St. Louis metropolitan area. Check out the job listing at PSLawNet.org (log-in required)! Job o’ the Day: Supervising Attorney at Neighborhood Legal Services of Los Angeles County! This position is available immediately. The job location will be in Pacoima, California with frequent local travel required. Supervises attorneys and paralegals in all aspects of poverty law, including hearings, litigation and policy advocacy work on individual and impact cases, including health care, government benefits, housing, family law immigration and community development. Responsible for policy work, special staff projects and substantive legal work. Handles quality control, assistance and supervision of representation at hearings and in court, and opportunities for providing direct representation. Develops training and resource materials and trains advocates. May be asked to perform other duties and responsibilities to meet program priorities. Experience in health and/or public benefits advocacy strongly preferred. Job o’ the Day: General Attorney at the U.S. Department of Homeland Security! 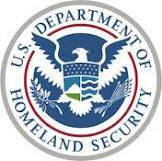 DHS components work collectively to prevent terrorism, secure borders, enforce and administer immigration laws, safeguard cyberspace and ensure resilience to disasters. The vitality and magnitude of this mission is achieved by a diverse workforce spanning hundreds of occupations. The Office of the Chief Counsel provides legal advice to, and legal representation of, U.S. Customs and Border Protection (CBP) officials in matters relating to the activities and functions of CBP. The Office is also responsible for reviewing proposed actions to ensure compliance with legal requirements, preparing formal legal opinions, preparing or reviewing responses in all court actions, civil or criminal, involving CBP, and developing, implementing, and evaluating nationwide programs, policies, and procedures within its functional areas. The Office of the Chief Counsel has both a Headquarters and a field structure. The Headquarters office is located in Washington, D.C. and its activities are divided broadly into three functional areas: Ethics, Labor and Employment; Enforcement; and Trade and Finance, under the supervision of Associate Chief Counsels. The field structure consists of Associate and Assistant Chief Counsels located in major cities across the United States who advise CBP field managers in their geographic areas. This position is in the Office of Chief Counsel – CBP, and will be under the supervision of the Associate Chief Counsel, Enforcement. The selectee provides legal services concerning the laws that relate to CBP enforcement functions with special emphasis on Customs and Immigration Law. The selectee researches the law and prepares legal memoranda, litigation reports, affidavits and other documents in civil and/or criminal actions involving CBP; provides current information to the field concerning significant changes in law and procedure; advises policy makers and coordinates legal issues with other government components; and prepares or reviews CBP regulations, policies and other materials. The deadline to apply is 7/16 – find out how at PSLawNet! Job o’ the Day: Executive Director at Jacksonville Area Legal Aid! Jacksonville Area Legal Aid (JALA) is seeking an Executive Director to lead this nonprofit organization whose mission is to provide high quality legal assistance to low income and other special needs groups and to stimulate and empower groups of poor people to accomplish energetic and affirmative advocacy, all to alleviate the circumstances, incidents and causes of poverty. JALA’s next Executive Director will arrive at a time of both challenge and opportunity. JALA’s strengths include its reputation for effective litigation and diversity of legal practice, its experienced, nationally recognized staff, its history of delivering quality legal services, and its diverse funding streams. Its challenges include the current economic crisis, delivering services in the face of increasing demand and decreasing resources, and increasing its funding base. The deadline to apply is July 6 – find out how to apply at PSLawNet! Job o’ the Day: Law Clerk at ChangeLab Solutions! ChangeLab Solutions (formerly Public Health Law & Policy or PHLP) is hiring a full-time, temporary law clerk to work on tobacco control and childhood obesity prevention legal and policy issues. The position is available for 4 – 6 months. ChangeLab Solutions focuses on improving the public’s health by drawing on the expertise of an inter-disciplinary team of lawyers, urban planners, and public health professionals. ChangeLab Solutions works with community-based organizations, local public health and planning departments, schools, elected officials, government attorneys, and private counsel to create groundbreaking policy solutions to critical public health challenges. ChangeLab Solutions staff provide comprehensive training, technical assistance, and legal and policy tools to advance public health policy. Working closely with law professors, private attorneys, and other experts, ChangeLab Solutions staff craft policies that reflect the most creative and innovative thinking on a given public health issue.